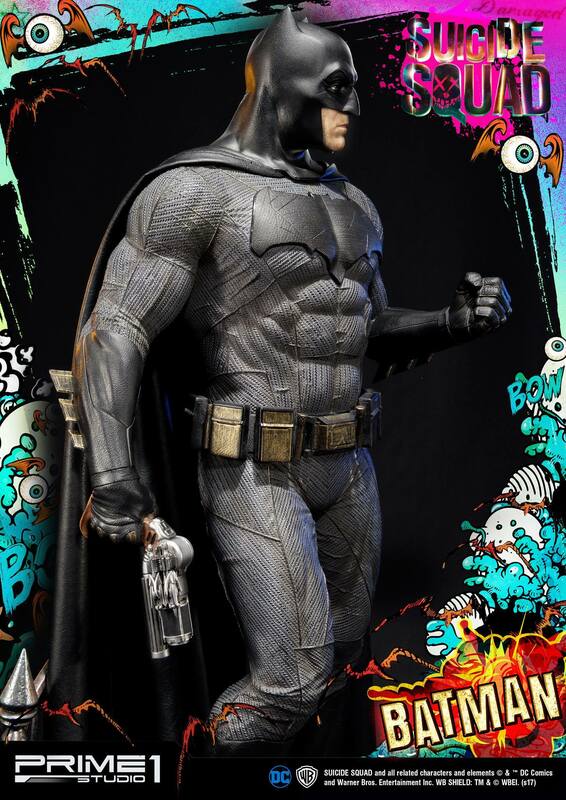 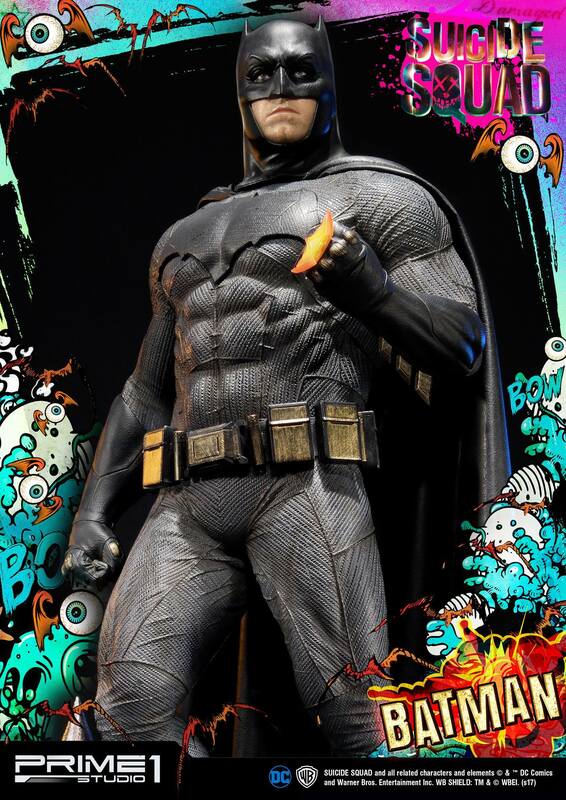 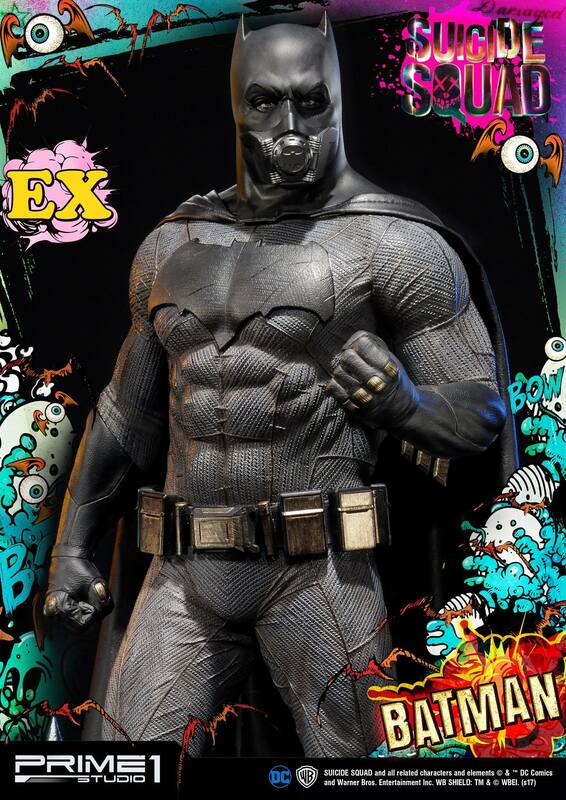 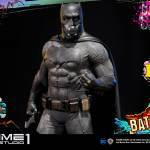 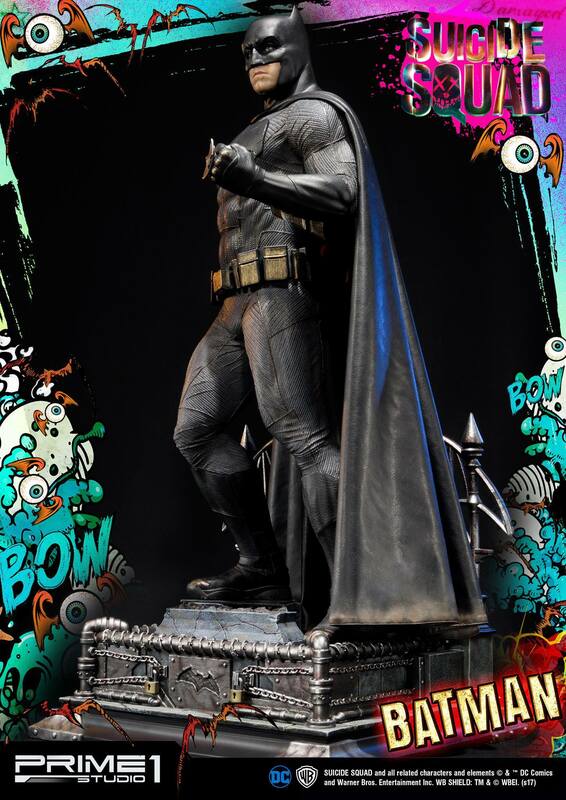 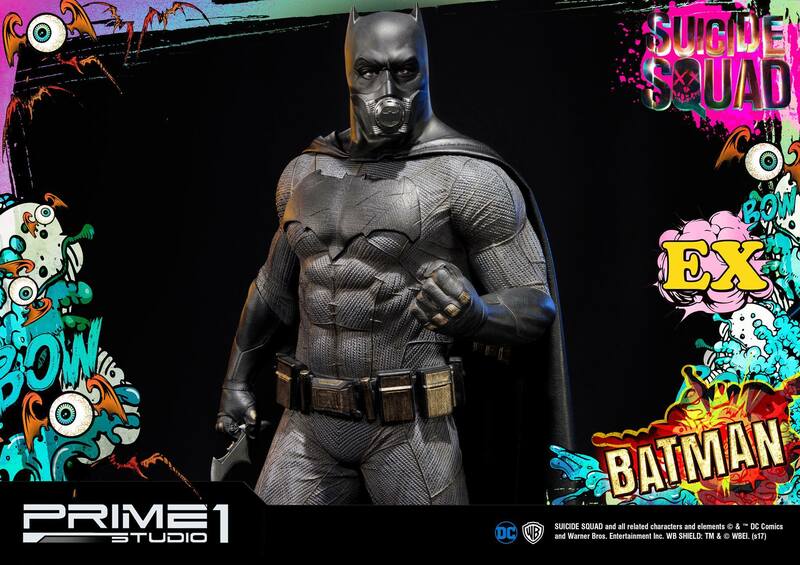 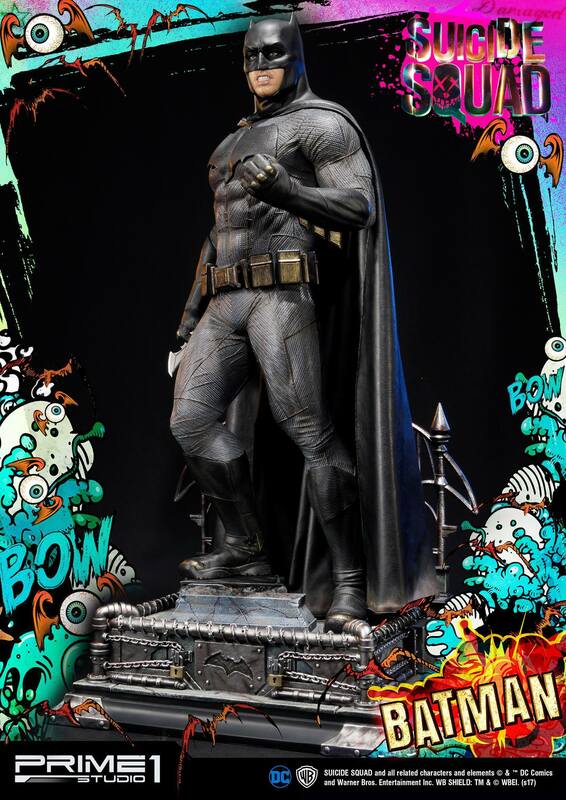 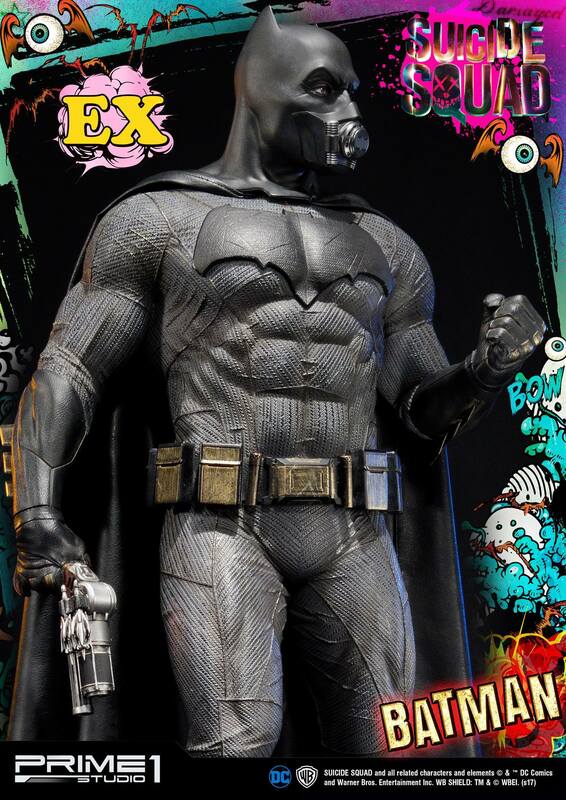 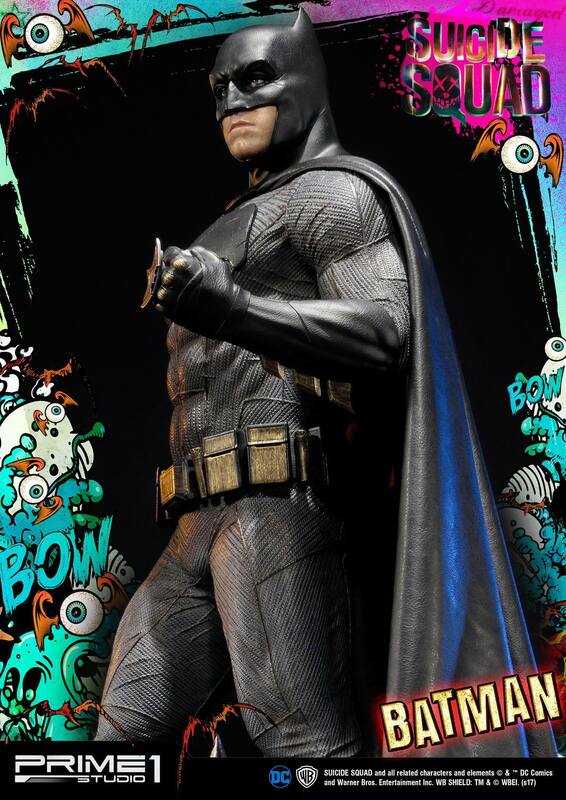 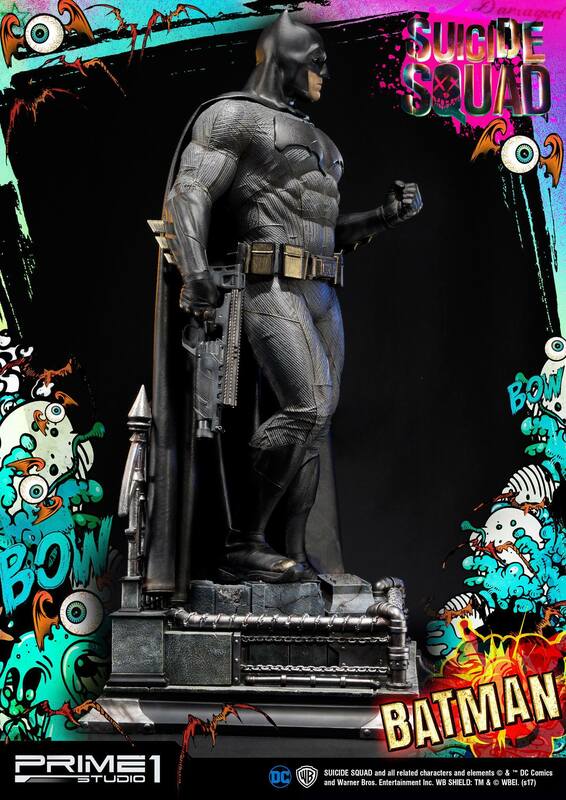 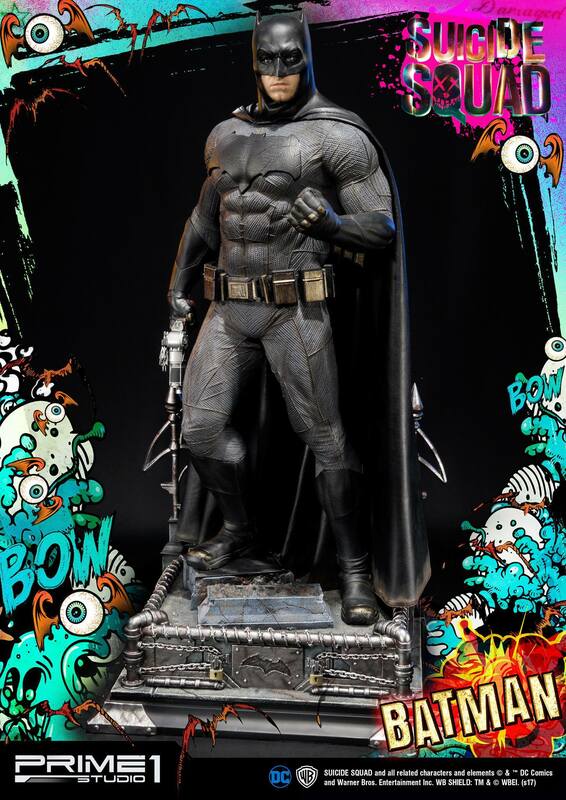 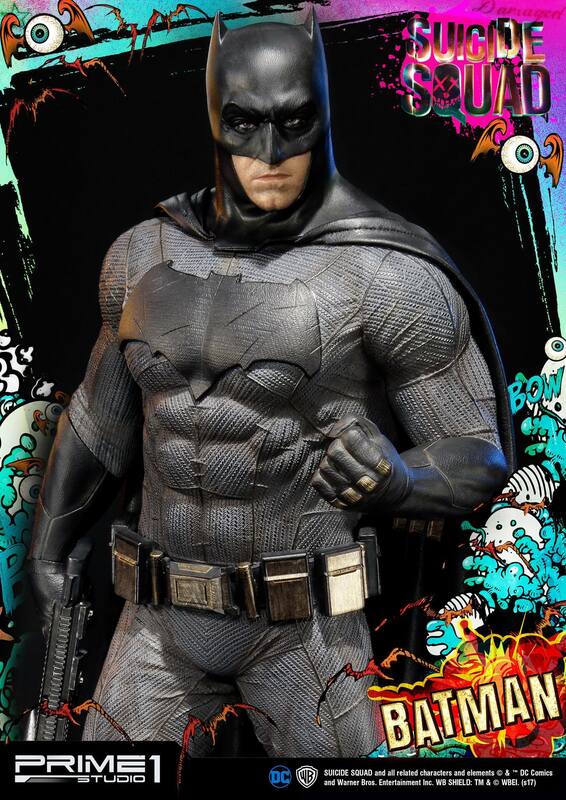 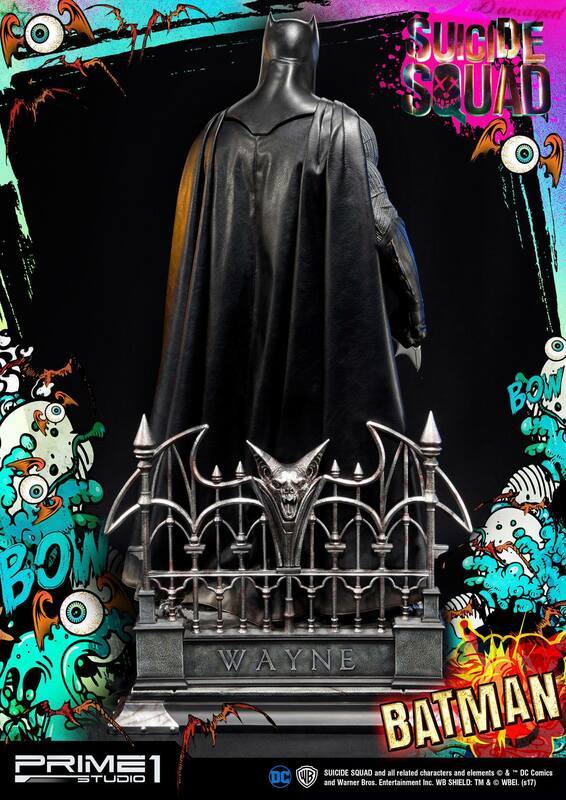 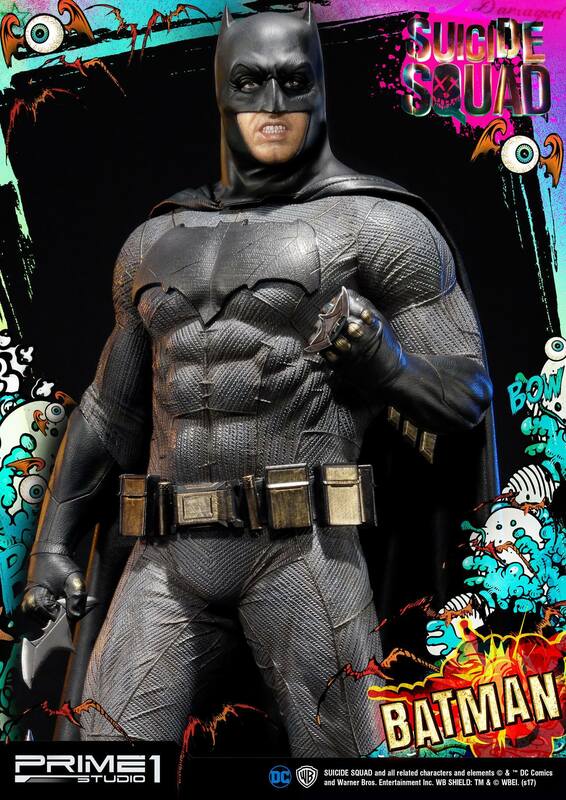 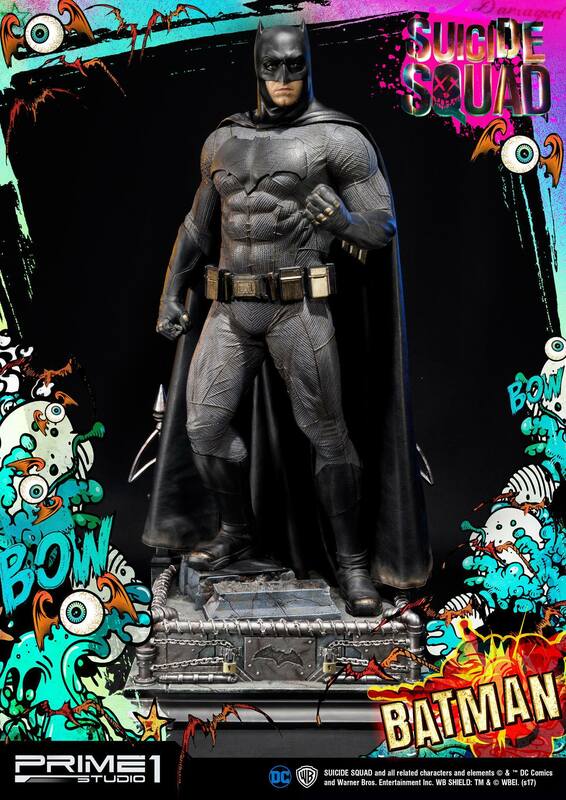 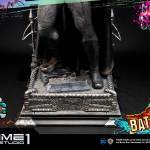 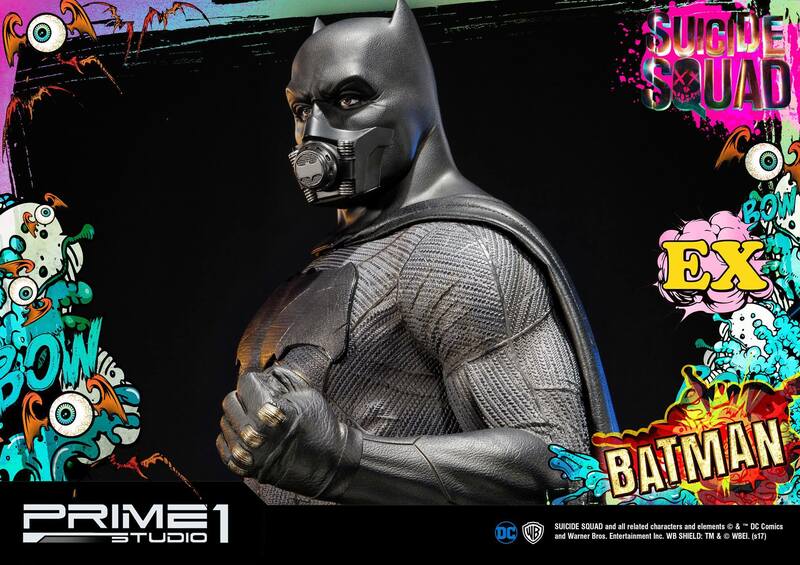 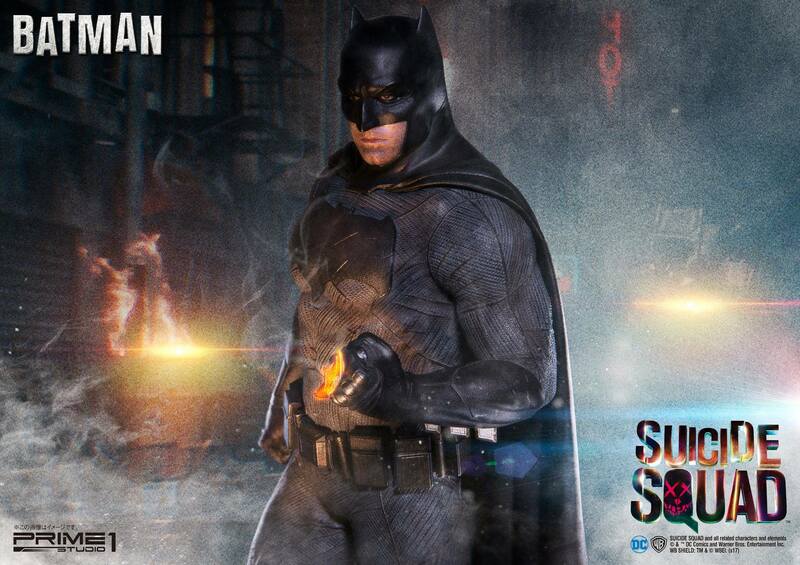 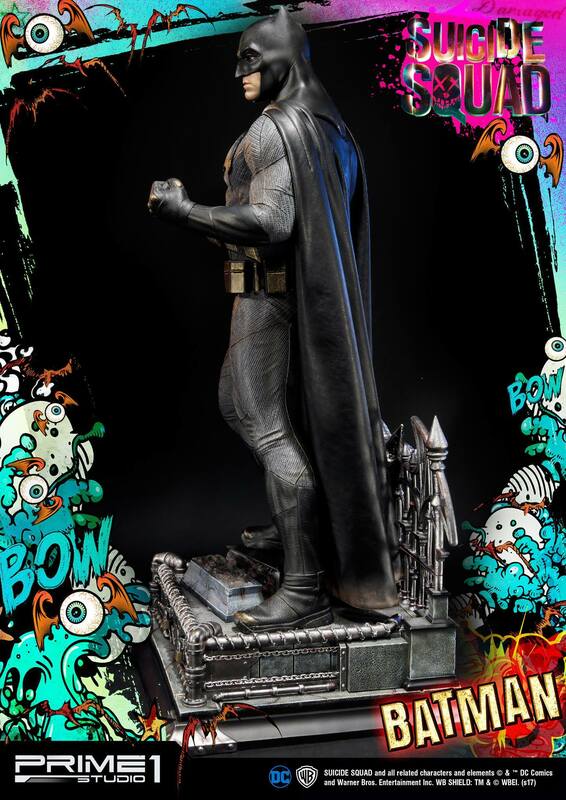 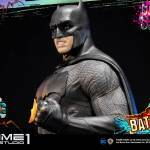 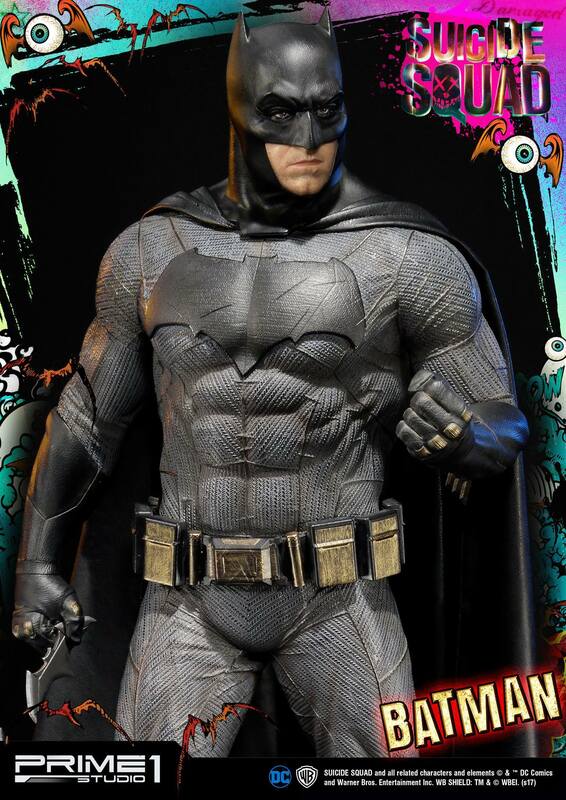 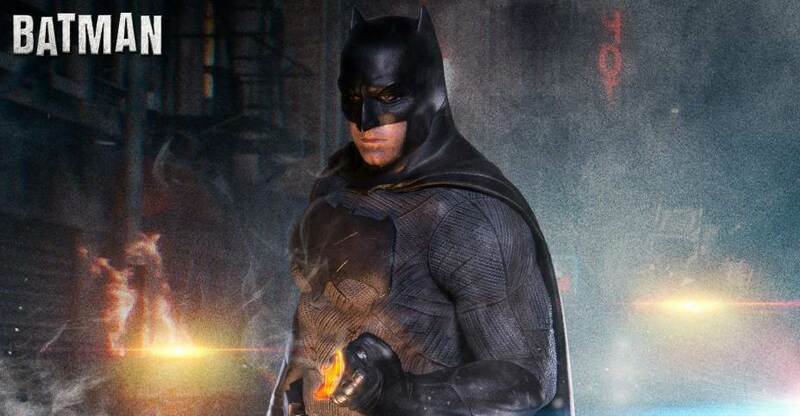 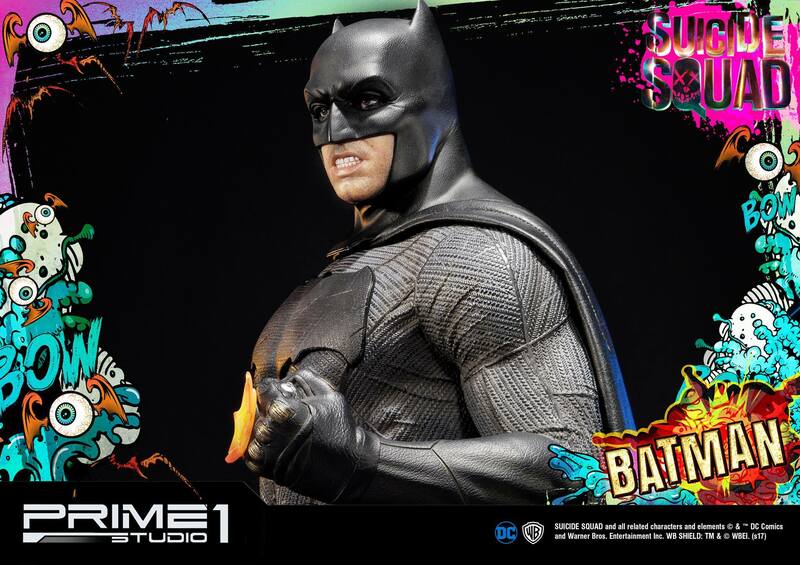 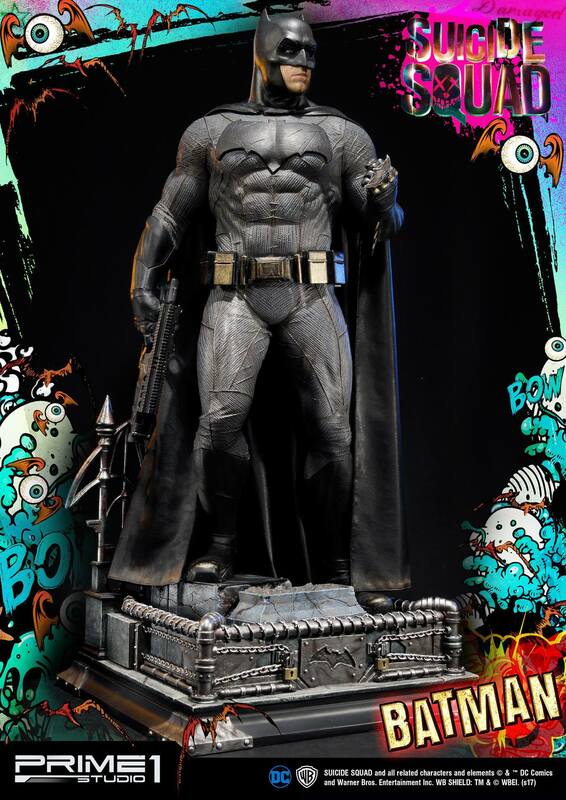 A new Batman Statue, based on his appearance in the Suicide Squad movie, has been announced by Prime 1 Studio. 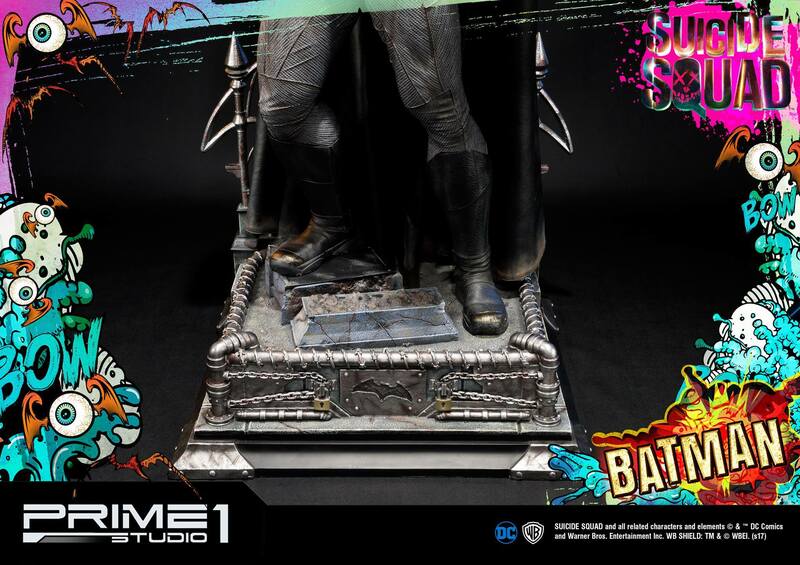 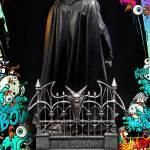 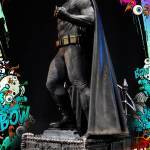 They have posted up a full gallery of new photos showcasing the statue and its various features. 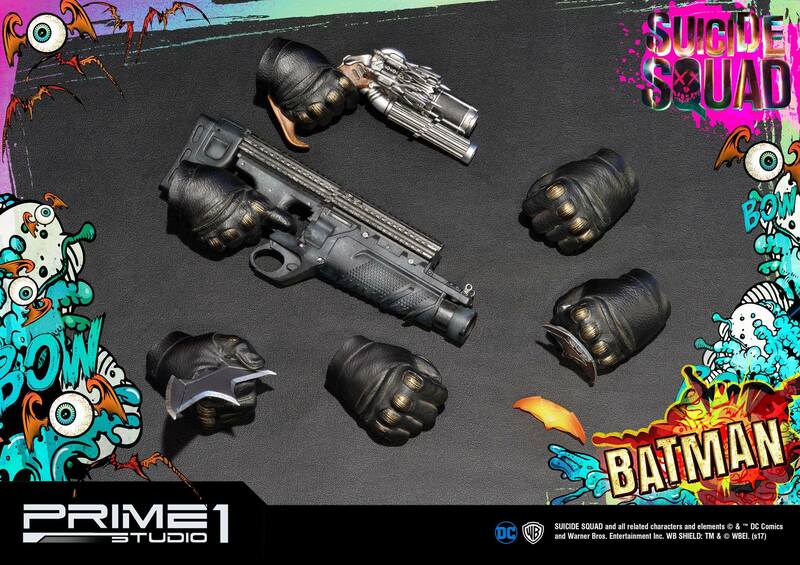 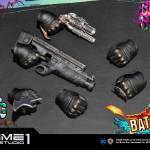 It will include multiple interchangeable hands, each with a different weapon or accessory. 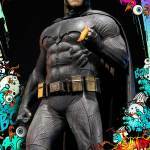 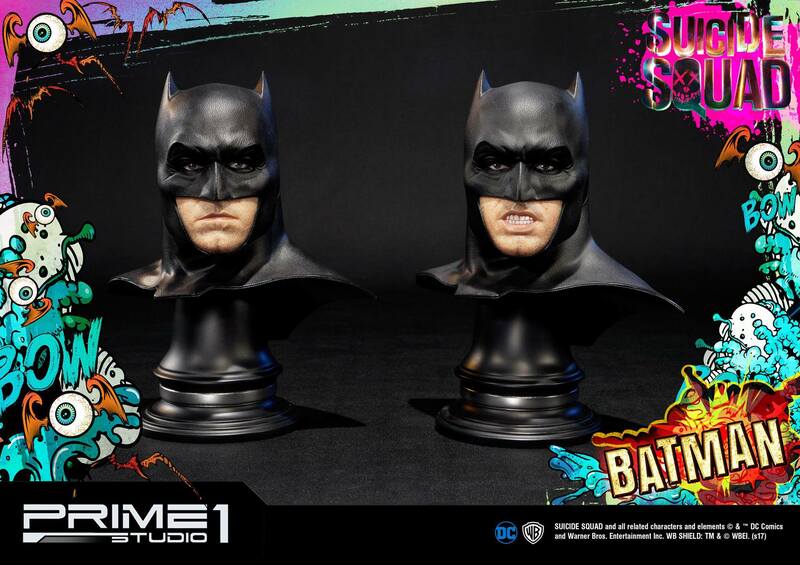 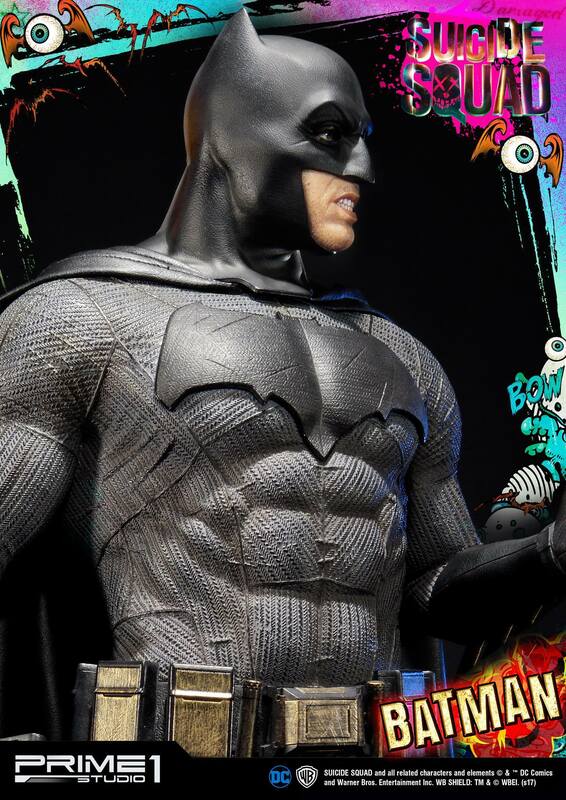 The standard edition Batman statue will include two head sculpts. 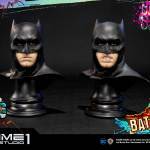 There will also be an exclusive edition, which will include a third head sculpt that includes the breathing mask. 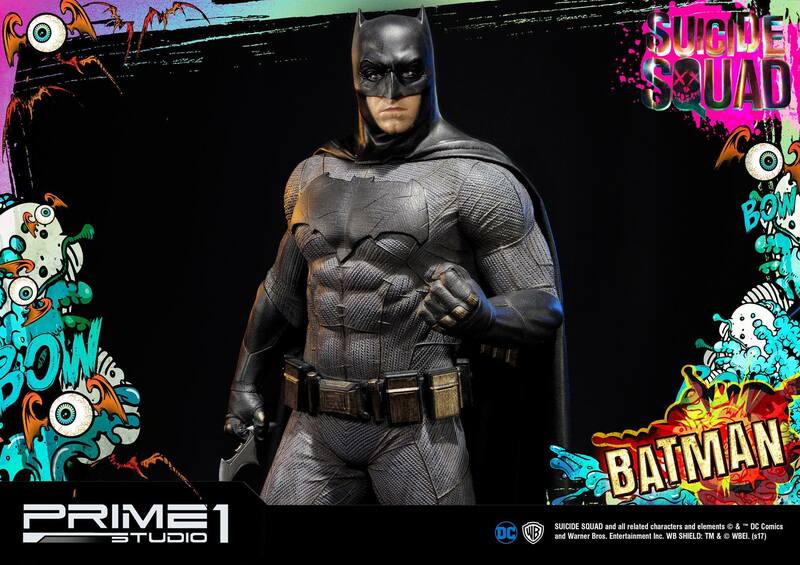 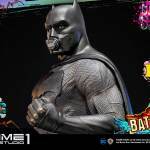 Prime 1 Studio is proud to present MMSS-04: Batman from Suicide Squad Movie (2016). 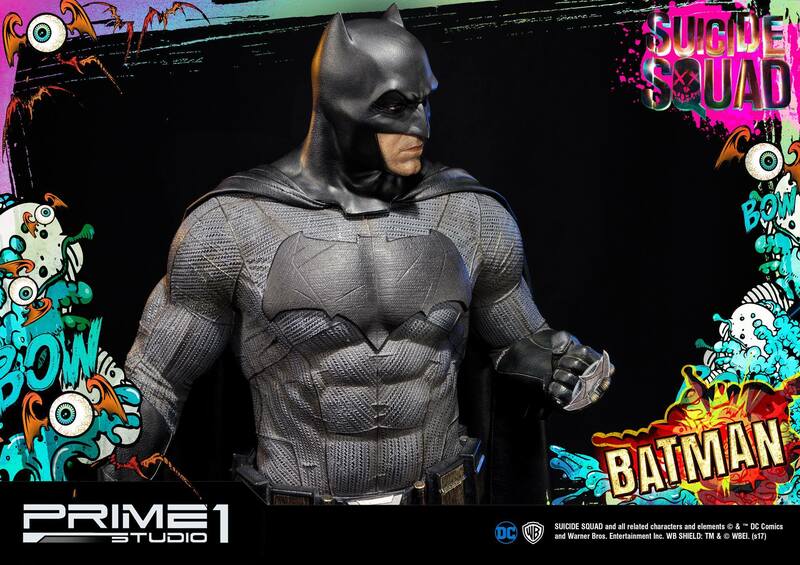 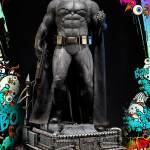 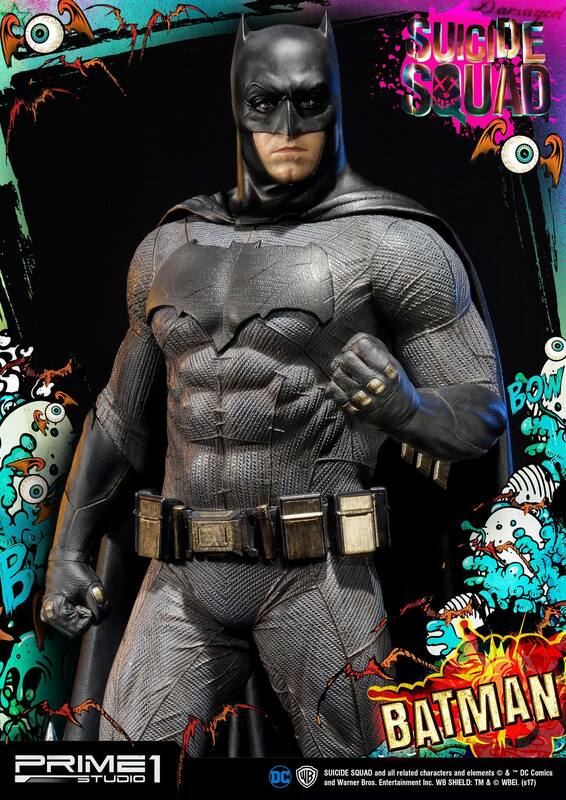 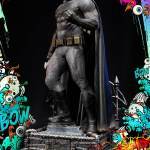 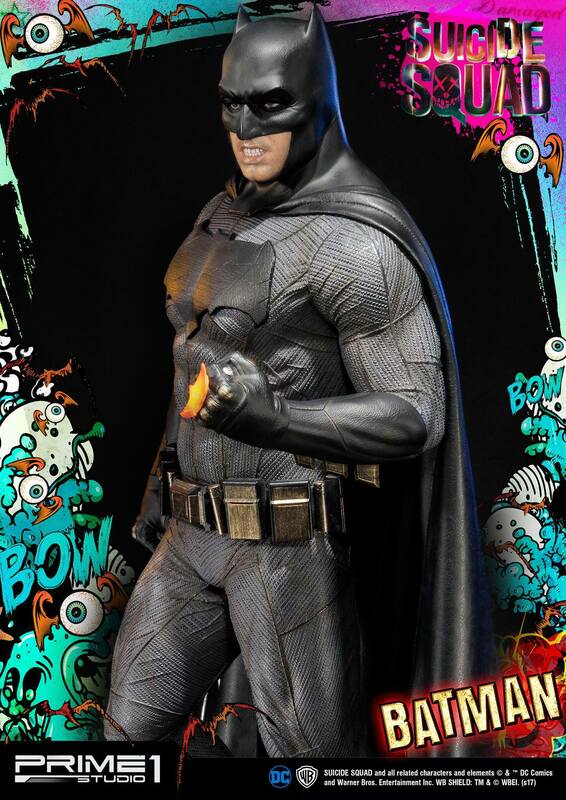 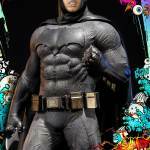 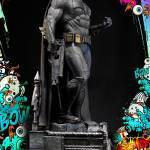 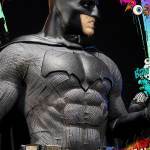 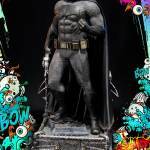 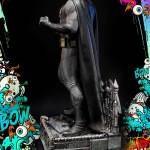 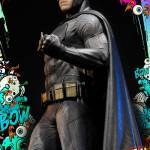 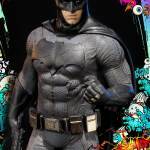 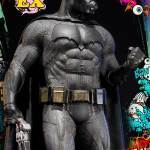 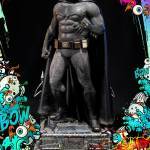 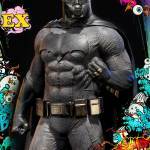 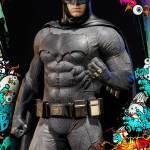 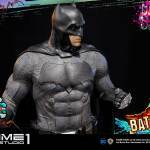 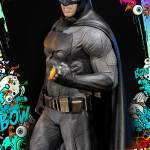 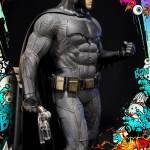 Batman is crafted in 1:3 scale with attention to detail and standing around 31 inches tall. 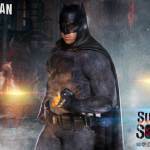 Fearing the actions of a god-like super hero left unchecked, Gotham City’s own formidable, forceful vigilante takes on Metropolis’s most revered, modern-day savior, while the world wrestles with what sort of hero it really needs. 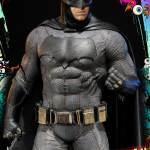 And with Batman and Superman at war with one another, a new threat quickly arises, putting mankind in greater danger than it’s ever known before.